BRANDING PROGRAM FOR A FRESH START SAN’ AMORI BAKERY SHOP. 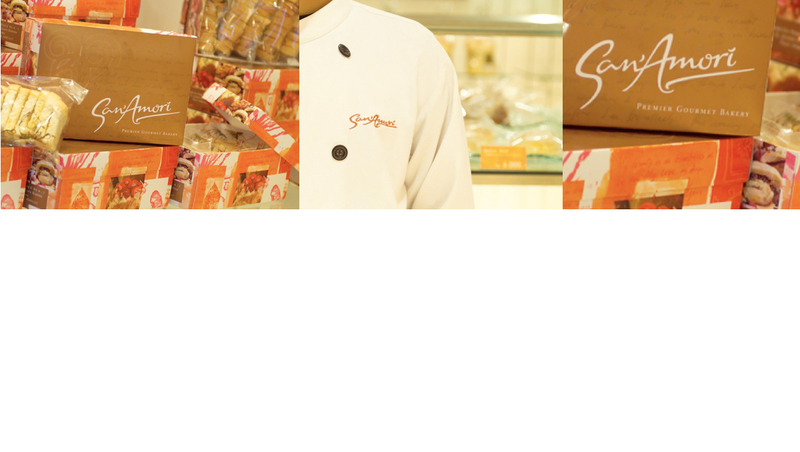 SAN AMORY IS A MODERN, PREMIER GOURMET BAKERY SHOP TARGETED TO YOUNG, AND MIDDLE TO UPPER CLASS HOUSEWIVES. San Amory is a modern, premier gourmet bakery shop targeted to young, middle to upper class housewives offering wide range Asian & Western bakeries and pastries. MakkiMakki creates the brand name and identity, as well as related brand applications including a wide ranging packaging design materials and its retail shop design.